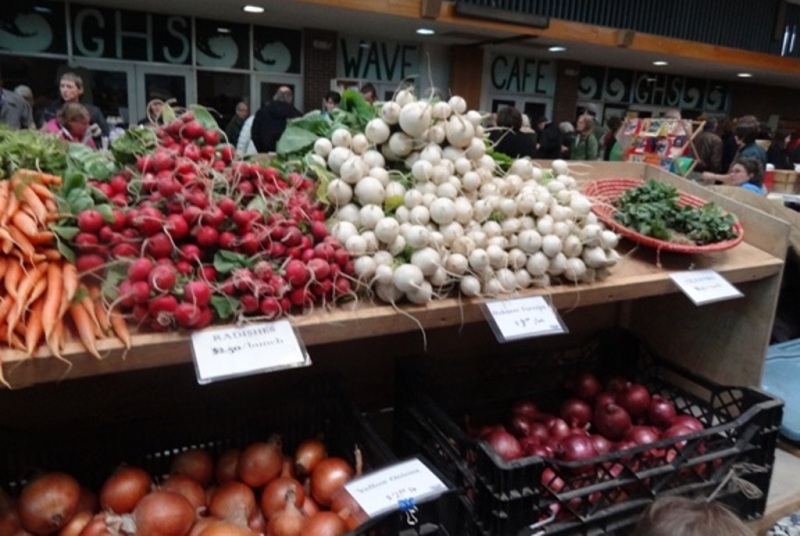 Greenfield’s Winter Fare is more than a Farmer’s Market. 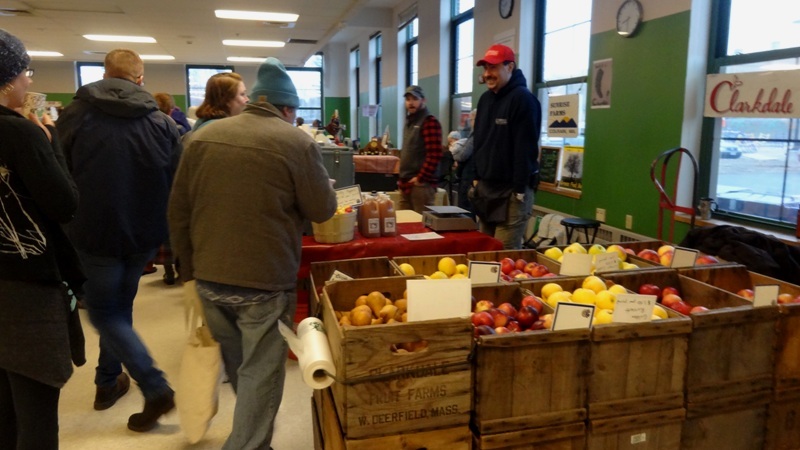 Last month I attended the first Winter Farmers Market of the year, held at the Greenfield Middle School. I came home with two heavy bags full of apples, winter squash, watermelon radish, golden beets, bread and frozen ground lamb. And wonderful bread from El Jardin bakery. Walking into that space was like walking into Ali Baba’s cave full of jewels. A little brighter, but with so much wealth spread out before us – and all local. Greenfield’s Winter Fare is more. On Saturday, February 21 I will be at the 8th Annual Greenfield Winter Fare which started the whole Winter Farmers Market project rolling. Now Winter Fare is more than the Market, although the vendors will be there in force with vegetables, meat, fruit, honey, cheese and bread, etcetera. There will be the Soup Cafe which opens at 11 am and workshops – and visiting because everyone will be there. At 1 pm there will be a Barter Fair led by the Valley Food Swap, swapping home-grown or home-made food. For other events during the week click here. It seems to me that the success of Greenfield’s Winter Fare and the Farmer’s Markets is one measure of our community’s interest in good food, and the health of our environment. In the last few years the number of CSA (Community Supported Agriculture) farms and other small farms has grown as has the number of farmstands and farmers markets. The Community Development Corp has a busy food processing kitchen available to entrepreneurs to make their products. CISA (Community Involved in Sustaining Agriculture) is helping farmers with business training and marketing; and Greenfield Community College has instituted a course in Farm and Food Systems. That is a rich bouquet of services to farmers, and those who enjoy good, healthy food. Will you be shopping at this year’s Winter Fare? I will.